BE AN EARLY SUPPORTER OR SPONSOR AND CATCH THE WAVE! We’ve partnered with Three Sheets to the Wind-America’s #1 Tribute to Yacht Rock band to launch our biggest fundraiser of the year. As the “most interesting band in the world,” they’re committed to providing phenomenal entertainment with gold classics from the ‘70s and ‘80s – undoubtedly the smoothest music ever created by mankind. This is a participatory experience, so you’re encouraged to wear your captain’s hat, canvas shoes, and Ray-Bans or wear whatever Sperry-inspired gear ‘floats your boat”. Be an influencer and show your EARLY SUPPORT by buying your tickets now plus some extra “Band-Aids” that help us raise more money. You’ll inspire others to buy tickets by being listed on the printed invitation that goes out to thousands of people in Metro Richmond. Even more exciting … be a SPONSOR and get some much-deserved recognition for you or your organization. All Early Supporters and Sponsors who sign on before May 1 with a $500 minimum purchase will be invited to a private reception at the home of our event co-chair. You’ll also get a captain’s hat which is your backstage pass to meet the band members. You’re going to hear a groovy band, dance your deck shoes off, eat fresh seafood and other gourmet delights, drink legendary libations, and best of all, you’re going to be supporting a worthwhile cause that needs you! Your ticket is more than a fun night, it’s an effort to help children in crisis all year long who need a home, a specialized school, and therapeutic resources. 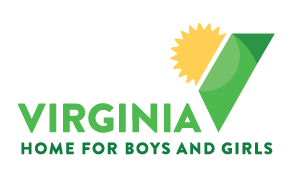 Virginia Home for Boys and Girls is extremely grateful for the most wonderful people imaginable who raise funds to operate our 30+ acre campus where children learn to heal from their trauma. THANK YOU! Julie & Mason Antrim, Brooke & Hayden Barnard, Annie & Corey Benjamin, Åsa & Chris Burnham, Aly & Marshall Croft, Millie & Ty Denoncourt, Elizabeth & Jed Donaldson, Meredith Green, Muffy & Noah Greenbaum, Katherine & Matt Guise, Rebekah & Eric McKay, Miranda & Teddy Reynolds, Lauren & Nathan Robertson, Kimberly Jonas Shumadine, Kristen & Josh Spain, Erin & Kasey Sutton, Elizabeth & Barrow Turner, Jill & Mike Williams, Mary & Kyle Wingfield. For additional information, contact Joan Marable at 804-270-6566 ext. 147 or JMarable@vhbg.org.